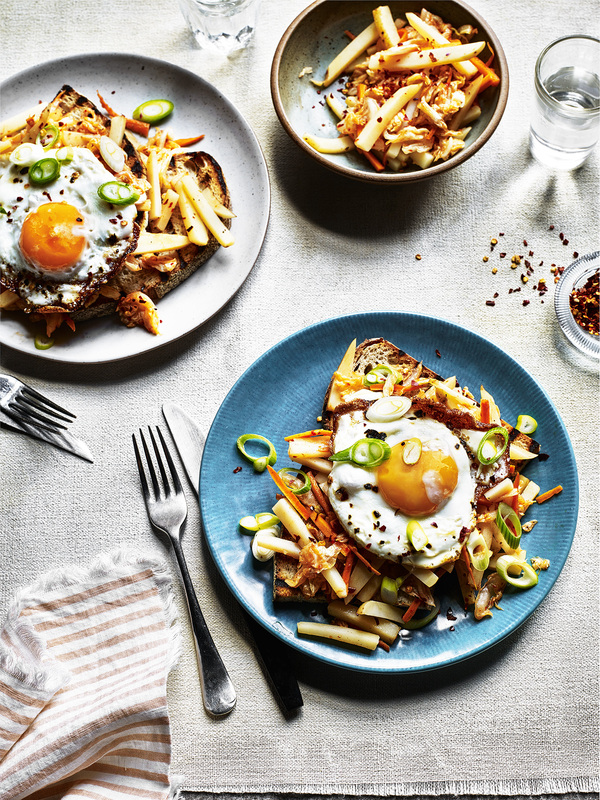 A unique and delicious creation which finds the sharp tastes of Korean Kimchi pairing with a golden slice of sourdough toast and potato slaw. The addition of a fried egg on top makes this recipe an amazing brunch idea. Parboil the potatoes for 2 minutes then drain and leave to steam dry. Mix with the carrots, cabbage and chilli paste, season with the salt and sugar to taste. Set aside. Toast the sourdough and top with the slaw, the egg, spring onions and chilli flakes if you like.